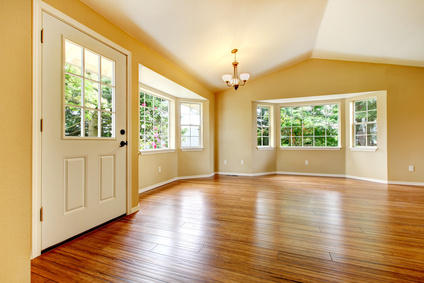 One of the first things that will be noticed when someone enters your home is the flooring. 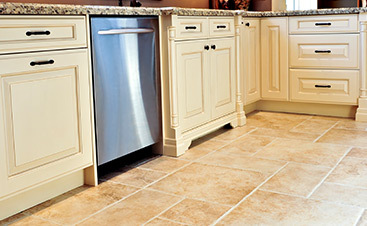 The type of floors you have can make a significant impact in the look of your home and the décor of each room. There are 3 ways hardwood refinishing and repair can transform any room, and three ways to get your flooring to that point. The first way to see the benefits hardwood flooring can offer to your home is by the shine your hardwood floors will have when the refinishing work is completed. This is a straight forward process that will render huge benefits for the homeowner. The first step is buffing the floor, and once the floor has been buffed the next step is to use polyurethane, which is a gloss that will make the floor shine. 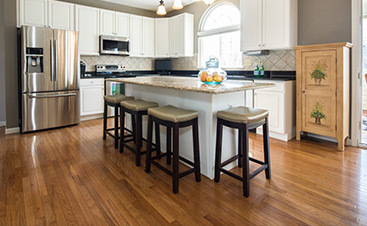 Hardwood floors are durable, but it is possible for scratches or nicks to appear in the flooring over time. 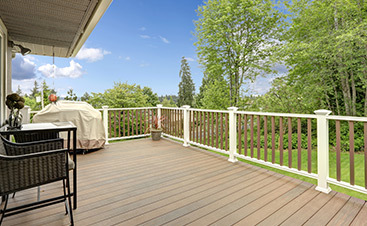 The second way to allow hardwood finishing to assist with the home’s appearance is by repairing nicks or scratches. This will provide a more polished look to the home and immediately add to the room’s attractiveness. The best way to repair nicks in the floor is by simply cleaning the area thoroughly and putting paint similar in color over the area. It is possible to purchase hardwood flooring paint colors at your local hardware store. This will allow your floors to be spotless and free of scratches. If you have extensive damage to your flooring it is best to rely on the expertise of a flooring expert. This will prevent further damage and will assist in achieving the look you desire. The beauty of your hardwood flooring will be achieved once the floors are shiny, free of cracks and are void of repairs. The end result will be pleasing to the eye and allow for beautiful hardwood floors.